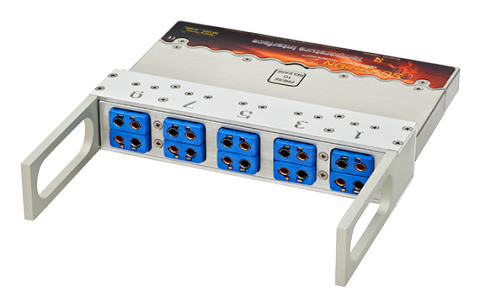 The Temperature Interface allows ten external thermocouples to be connected to the SCORPION® 2 Data Logger. These thermocouples can be user supplied Type T with subminiature or standard male connectors. 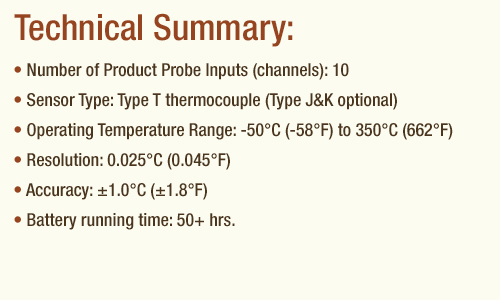 Product Probes are commonly used to measure the core temperature of a product as it travels through a process. The Temperature Interface also serves as the mounting point for a Magnetic Temperature Sensor Array.